Bonbon Chick is full of fluff and flapping! With long orange legs and a fine stand-up neck, a squidgy beak and wonderful webbed feet, this hatchling is so happy! 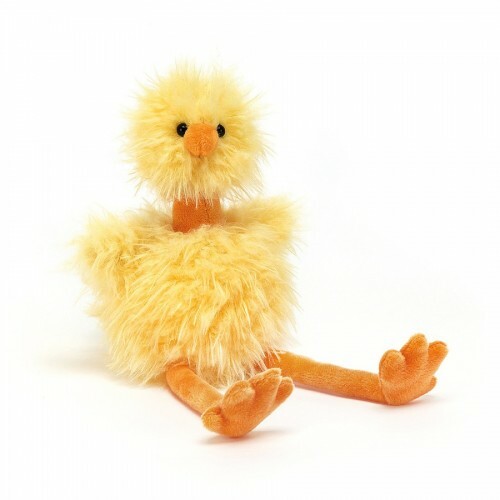 Tufty and punky in yolky yellow fluff, Bonbon Chick is such a sunny silly! Head down to the coop and say hello!